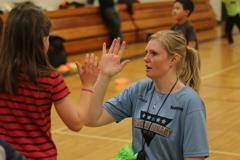 Revolutionary Sports Coaches have a positive impact on the lives of children. Coaches are passionate about sports and sharing their knowledge to help youth players develop individual skills. Coaches are committed to teaching children using child development best practices that create a fun and positive learning environment. Ready to positively impact the lives of young children? complete our email form on the Apply Now link.